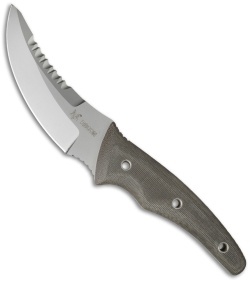 Designed by Alessandro Zanin, the Recon is a standout fixed blade knife from Fox Knives military division. The long, upswept primary cutting edge and serrated upper grind are geared toward close quarters combat techniques. Its Bohler N690 steel blade is full-tang and bead blast finished. 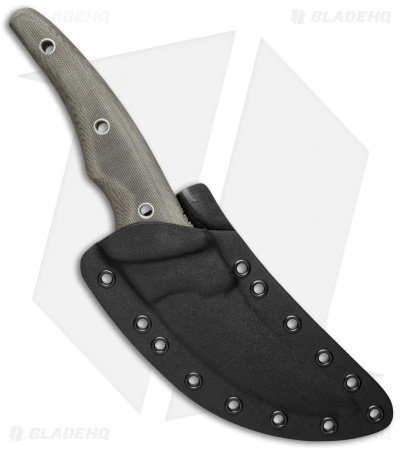 OD green canvas Micarta scales offer comfort and reliable grip.